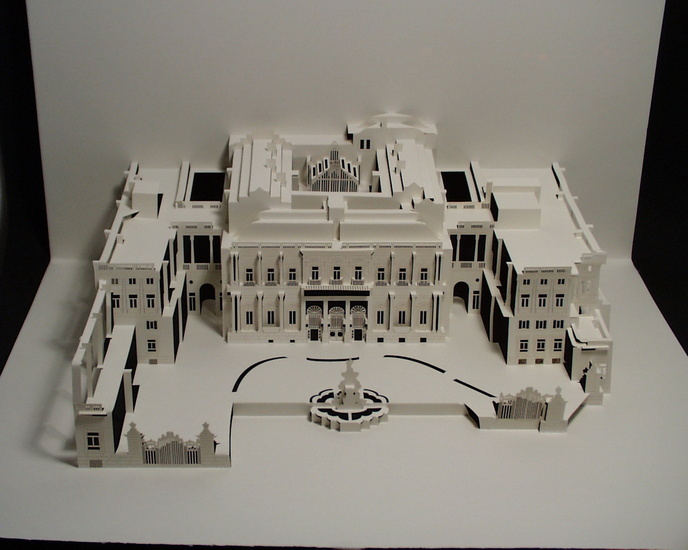 Paper architecture translation of the Palace in which the office of Anida (Madrid) is located. Cut/folded out of one piece. Papiersoort: Rives Artist 170 gram.